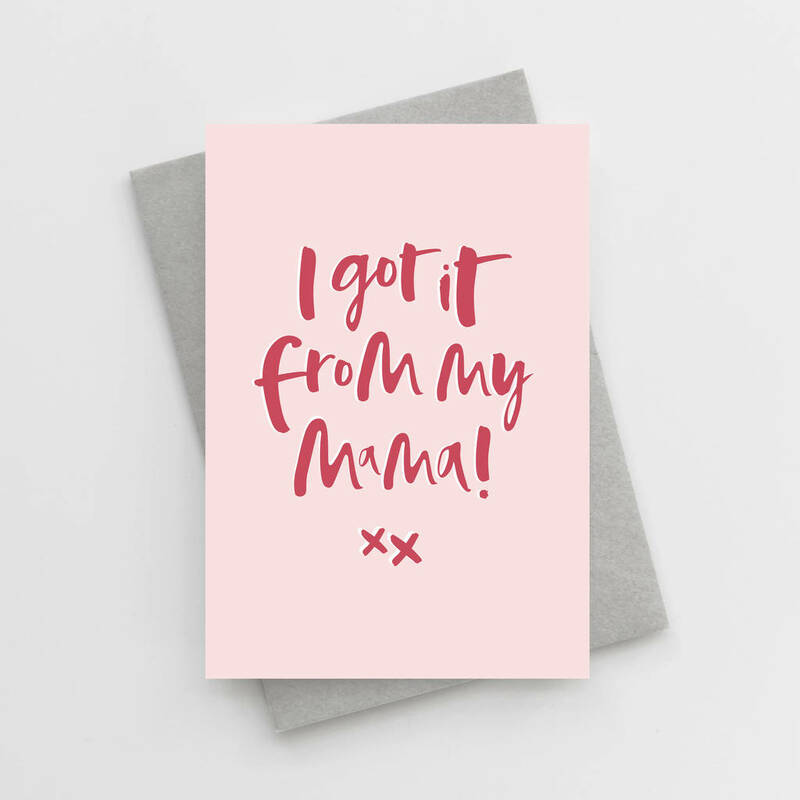 Add a sprinkle of fun to Mother's Day this year. 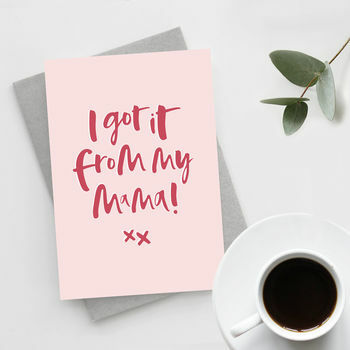 This Mother's Day card is hand lettered with the words ' I Got It From My Mama' printed in deep rose on a soft pink background. Please note the size of our cards are A6.